As I walk along the Los Angeles River on a cool fall afternoon, I gaze across a graffiti-ridden concrete embankment and imagine what this landscape must have looked like less than 100 years ago. The LA River today, which dumps the area’s urban runoff directly in the Pacific Ocean, serves as a paved flood control channel for the city. It carries litter, bacteria and other nasty pollutants from the streets of LA straight into the nearby sea, without ever being treated. This is certainly not the type of roaring river I grew up appreciating in the wilds of Montana, but it is rugged in its own right. The engineers that designed this industrial behemoth missed the ecological boat when they drew up plans to channelize this once expansive waterway. Intent on protecting property and allowing for development as close to the river as possible, the LA River – in its original state – was destroyed in the name of work relief and ambitious flood control. This is not to say the river, once the sole provider of fresh water for the city, was killed off entirely. But it will never again resemble the stream and wetlands the Gabrielino Native American tribes enjoyed for well over a thousand years. The legendary Olmsted Brothers were two men who envisioned something starkly different for the LA River than what exists now. If you’ve ever traversed the vast parkway system in the Emerald City of Seattle, strolled along the Delaware River in Philadelphia’s gorgeous Franklin Delano Roosevelt Park, or spent a quiet evening in New York City’s Central Park, you’ve experienced the works of the Olmsteads up close. While their imaginations were progressive at the time, these two brothers were not radicals. The Olmsteds were advocates of open space and the preservation of natural aesthetics in urban areas, but they did not wish to halt western expansion. Nonetheless what the Olmsteds and partner Harlan Bartholomew put forth in the 1930s would have made Los Angeles one of the most ecologically attractive cities in the United States, with the LA River as its crown jewel. Instead of trucking in concrete and tearing out the river bottom, they sought to keep the LA River as natural as possible. The brothers argued that greenbelts ought to surround the meandering streambed with a broad network of wetlands, some 440 miles worth, providing flood control and serving as recreational parks for working class families that lived in nearby neighborhoods. Central to their hope in keeping the LA River free, was to limit, if not entirely eliminate, private development in its 50-year floodplain. Natural channels would be protected and the river would flow unimpeded all the way to the Pacific. Sadly, the Olmstead/Bartholomew plan had two substantial obstacles in its path: a dearth of local funds and morally bankrupt regional planners. Instead, the New Deal era federal government came to LA’s fiscal rescue by employing massive public works projects to the determine of the environment – and LA wetlands in particular. No large parks-building program was ever employed, let alone given much consideration. On the contrary, New Deal funds were explicitly used to eliminate hundreds of square miles of wetlands and pave the majority of the LA River’s vast alluvial plain. One could blame manifest destiny on the developers’ innate greed and government backing for what happened to the LA River. Certainly their desire to capitalize by building on virtually every square inch of land in the basin played a role. They sought to tame the river, which in the infamous flood of 1938 killed 87 people and swamped out 300,000 acres of land. Of course, it’s far cheaper to avoid building in a flood zone than to build in it. Yet, as any land speculator will tell you, it’s never quite as profitable to protect as it is to exploit. So building they did. 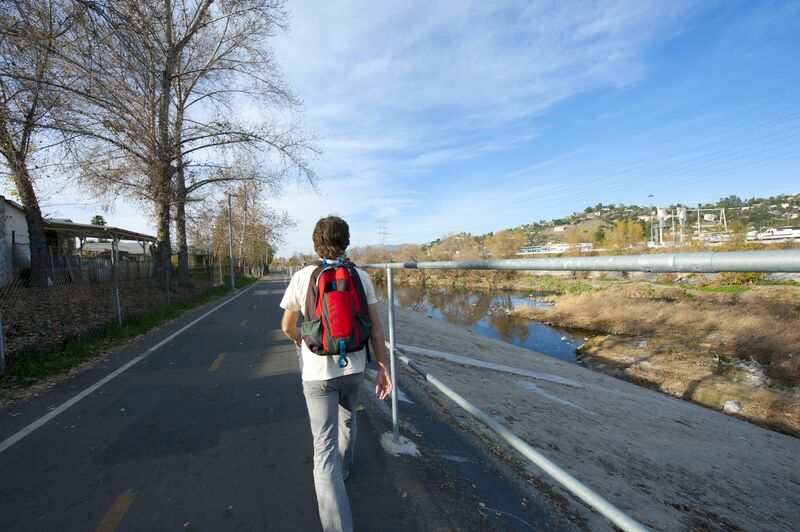 For half a century the LA River fell into utter disrepair. While it became the location for classic films like Grease and Chinatown (ironically centered around the corruption of the region’s water wars), the river was a mere afterthought for many who called Los Angeles home. It wasn’t until the mid-1980s that a movement to revitalize the waterway came to a head, recognizing, not only its historical significance for the region, but its ecological importance as well. The group leading the charge, Friends of the LA River (FoLAR), is still succeeding despite the perception that the LA River isn’t an actual river. The City of LA didn’t catch on immediately. It took almost two full decades before the City officially adopted a comprehensive Los Angeles River Revitalization Master Plan, which occurred in May 2007. The process was arduous, but the result of the 18 month process was substantial. With the Master Plan, LA now has a vision for transforming the 32 mile stretch of the river within the City’s jurisdiction into something a bit closer to what Olmstead and Bartholomew believed was possible. As I stroll along a littered stretch of the LA River in the neighborhood of Echo Park I contemplate what could have been but also recognize what the river is today, and more importantly, what it means for the city tomorrow. Blue heron and mallards inhabit the river during winter months, along with hundreds of other species, many of them endangered. FoLar has also documented largemouth bass, Amazon sailfin catfish and more. In Ballona Creek, which at one point connected with the LA River, steelhead have been spotted, a sign that, in the most optimistic of scenarios, could perhaps return to the river one day in the distant future. While the habitat the LA River provides for these animals is not optimal, it is still habitat, and an improving one at that. Urban waterways, like wetlands, not only provide refuge for migratory birds, they also give people a sense of place – a small connection to the wild. Nature is not confined to the locations we designate as wilderness – more environmentalists need to expand their perceptions in order to recognize how important urban nature is for many species survival. Along with protecting native ecosystems, we shouldn’t turn our backs on the environments that have the potential to be revitalized in dense cities like Los Angeles. I am certain the animals that depend on these little slivers of nature, many of them struggling to survive, would echo similar sentiments. It is this urban-nature ethic that thrust Joe Linton’s kayak into the LA River four years ago to demonstrate that the waterway was indeed navigable, a requirement for all rivers that fall under the protection of the Clean Water Act. Linton, who writes for the popular LA Creek Freak blog, and others, paddled their way through concrete debris and sometimes dangerous passageways to make their case. Their message did not fall on deaf ears. 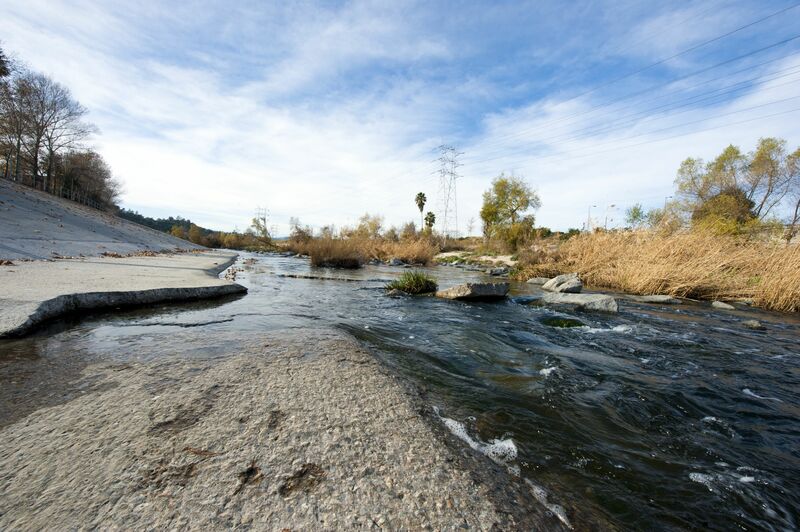 The EPA in July 2010 declared the LA River navigable, giving it the full protection of the Clean Water Act. Now the entire 834-square-mile LA River watershed might be given the attention it deserves after nearly a century of neglect and abuse. While a place like Ballona Wetlands, which is one of the most intact wetlands in the area, has long been given the respect it rightly deserve — fending off development but not always coming out victorious — the LA River is primed for revival. In 2004 voters in Los Angeles passed Proposition O, which authorized the City of LA to issue a series of general obligation bonds of up to $500 million for clean water projects in the city. The main goal of the measure was to help the City meet clean water requirements known as TMDLs (Trash Total Maximum Daily Load), which were set by originally passed by the Regional Water Quality Control Board. As a result, there have been many numerous public works projects funded and more to come. Early this year the City drained Echo Park Lake, which acts as a retention basin for local runoff. The lake, which is manmade, is being relined and improved, allowing the water collected in it to be less polluted. Likewise, Machado Lake in industrial Harbor City is slated to receive Proposition O funds to address water quality and pollution issues that plague the water body. Keeping the City Council’s use of Proposition O funds honest is what Mark Gold and other environmentalists are attempting to do. Nonetheless, even Gold admits Proposition O, which passed by an overwhelming 76% of the vote, was a step in the right direction for LA. The other major issue when dealing with water quality, especially in a coastal city like Los Angeles, where runoff drains into the ocean, is minimizing litter, especially the big killer – plastics. Los Angeles County Board of Supervisors voted to ban plastic bags in November 2010. The ban will affect 1,000 stores in unincorporated areas. Long Beach also passed a plastic bag ban, which the city hopes will drastically decrease the amount of litter on its streets. 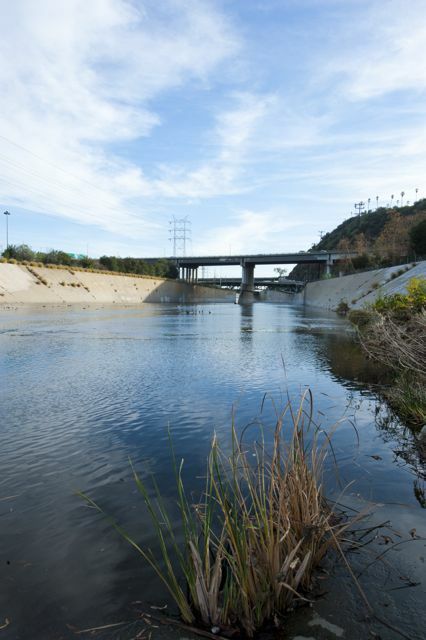 Will the LA River one day have a larger abundance of life? Will wetlands in the area be revitalized and protected as they should be? Not if people are complacent. One thing is for sure, allocating money for restoration work is a good thing, but ensuring that future development and redevelopment projects don’t negatively impact what little wetlands and waterways remain, is imperative. Nonetheless, as Heal the Bay notes, water quality in the area is slowly improving along many of our local urban beaches. With continued diligence and a growing awareness about the importance of clean water, perhaps these beaches, and the runoff that pollutes them, will only get better. Whether they are year-round residents or just stopping over on their long flight from Canada to Mexico, many species rely on these littered waters for survival. That’s enough for me. Let’s tear out this concrete and bring the LA River back a little closer to the way nature intended it to be.